Using a compressed air spray gun, the conformal coating is sprayed across the whole of the circuit board. It is not a selective process. All parts are coated on the circuit board. Which conformal coatings can be used in batch spraying? What equipment do you need for batch conformal coating spraying? 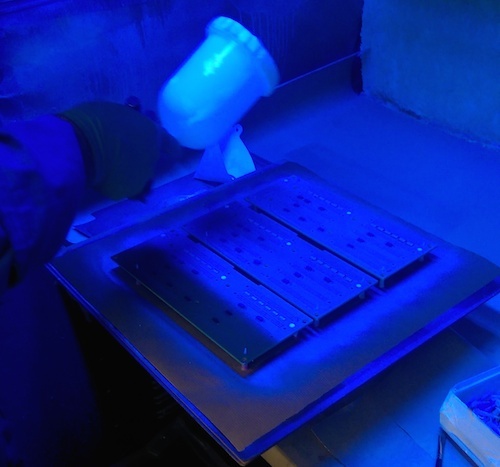 Is batch spraying of conformal coating a complex process? How cost effective is the conformal coating batch process? Is batch spraying a low, medium or high-volume technique? What variables control the quality of the conformal coating finish in batch spraying? What are five advantages of the batch spray conformal coating process? What are five disadvantages of the batch spray conformal coating process? Nearly all conformal coatings can normally be applied by batch spraying. However, the coating viscosity may need to be adjusted with thinners to allow the coating to be sprayed correctly. Other considerations are the pot life of the material and whether they change their properties whilst in the process of application. However, the quality of the finish is dependent on the quality of the spray equipment itself. Spraying coatings is a skilled process. This is no different for conformal coatings. It requires training and knowledge to achieve good quality coating finish. Blending the conformal coating to the right viscosity is crucial. The wrong viscosity can produce many conformal coating defects such as bubbles, runs, ripples, and capillary effects. Also, setting up the spray gun with the right amount of atomisation pressure and material feed is critical to ensure a good coating finish. Conformal coating defects such as orange peel can be dominant if this is not set up correctly. 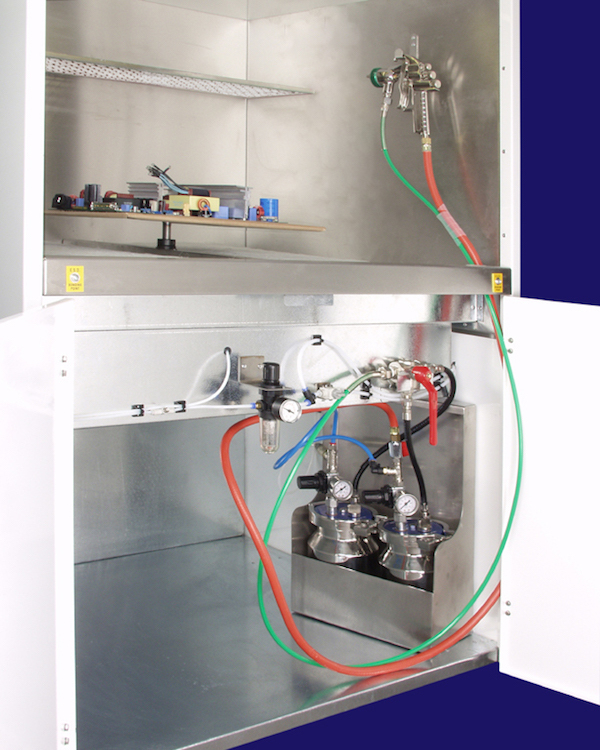 Spraying conformal coating within a spray booth is a very cost effective process for low and medium volume coating. However, if masking is required, then the cost of processing must be considered with this in mind. The masking does not need to be as good as for dip coating. This is because the conformal coating masking is only providing shielding from the spray process. However, there is still skill required in the masking process. Normally, conformal coating batch spraying is a low and medium volume batch process. It can be a high volume process but it will depend on the level of masking required and the cost of labour. Spraying in general of coatings is a skilled process. Conformal coating application is no different. A low cost spray gun will produce an adequate coating finish for a short period of time. It will wear with time. A high quality spray gun will produce a high quality finish and continue to do this over a much longer period of time. If the masking is complex then there are more likely to be problems due to the application of the coating due to leakage of the masking. Cost of process is dependent on the masking required for the circuit board.